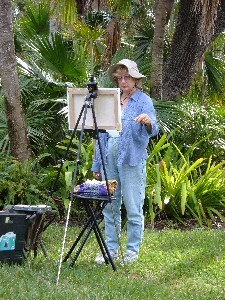 I'm painting daily, sometimes outside and sometimes inside. I'm having fun with my art and choosing subjects which excite,and fascinate at least me and have found new freedom to improvise on reality the more painting I do. 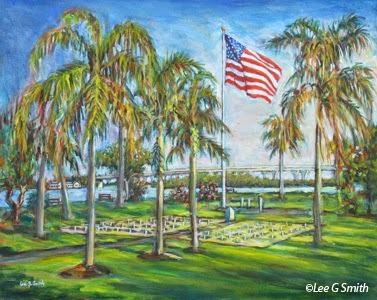 I recently completed this painting which was unveiled at the Memorial Day Service on Veterans Memorial Island Sanctuary in Vero Beach, Florida. It commemorates with Cenotaph Markers the military from Vero Beach who died in service whose remains were not recovered.